If you cast an eye across some of the most innovative and visually stunning buildings in Norfolk and Suffolk there is often a common denominator. 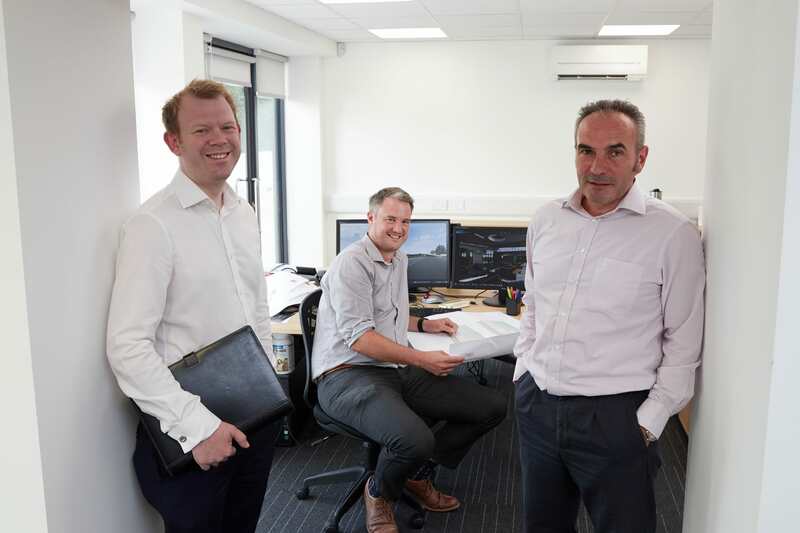 Architects and structural engineers Chaplin Farrant have been providing bespoke design, planning, surveying and cost consultancy for a wide range of commercial and residential clients for many decades. The company’s wealth of expertise is currently being celebrated as directors mark a milestone of 80 years in business. Chaplin Farrant was established in 1938 by John Chaplin, and moved to its current building to Yarmouth Road, Thorpe, in 1966. The company provides in-house CDM Consultancy, to ensure clients comply with all construction, design and management regulations. It is also part of the Chaplin Farrant Design Group, which has offices in Hampshire and Cambridgeshire, and provides a fully integrated design service, with more than 50 staff specialising in different disciplines. Chaplin Farrant’s business ventures span from commercial buildings to residential estates and affordable housing, with directors Mark Nolan and Mark Camidge at the helm. Mr Nolan focusses primarily on residential projects, for private developers or major building companies, which can range from an exclusively designed family home, to a scheme featuring 400 units. Some of his work includes the Palace Street and Fishergate properties in Norwich and Spooner Row in Wymondham. Much of Mr Camidge’s work is primarily within the commercial sector. He designed the new art block at East Norfolk Sixth Form College in Gorleston, the teaching and performance building at Langley School and the extension to the community facilities behind Norwich City Football Club’s stadium. He has also been responsible for the framework of a range of Norfolk Police stations, including Swaffham and Broadland Gate. Mr Camidge said: “We are extremely fortunate to be in such a position of marking 80 years in business. We have worked with some fantastic clients, both in the residential and commercial sector, who have entrusted us with some major projects. The smooth-running nature of the business has been complemented by the company’s affiliation with accountants Stephenson Smart. Miriam Pepper, manager at the Great Yarmouth office of the firm, has been looking after Chaplin Farrant’s payroll, tax advice and legislation changes for the past 10 years. Mr Nolan said: “Miriam has been such a stable and supportive influence over the past decade navigating us through all areas of accountancy. As the company celebrates 80 years in business, the company is offering answers to 80 frequently asked questions about architecture, engineers and quantity surveying. With future planning in mind Mr Nolan and Mr Camidge are promoting four other members of staff to director positions. Our TaxApp is designed to keep professionals and business owners in the loop about their tax responsibilities.